- Learn how to strategically supplement your night-time sleep by napping. The latest in sleep science! 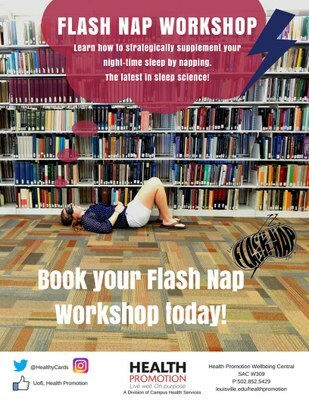 Request a Flash Nap workshop for your student group today! - Available at various locations during finals. Check back for updates!